Now that Amber has finished her first year of high school (eek! ), we took a look back the positive aspects of the year. 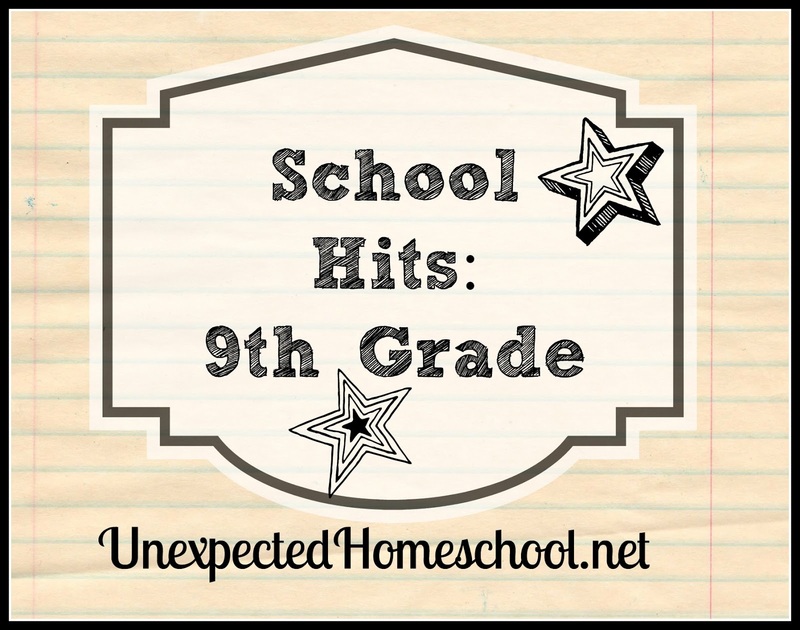 This is a short list of her favorite classes, curriculum, or school related items from 9th grade. Drama Class Play: The Snow White Variety Show - The culmination of the co-op drama class. Amber played one of the dwarves, Creepy. It was a fun play to watch and the kids had a blast performing. Yearbook - It was Amber's second year being on the yearbook for our homeschool group. She has such a fantastic time with her friends on the yearbook committee. They are all assigned portions of the yearbook to create, as well as some additional work to create superlatives and write summaries. Greek Mythology - This was a class taught at our homeschool co-op, using D'Aulaires' Greek Myths as a spine. Amber already owned the book and had read it several times over. However, the course had a few more details and Amber loved every session. Greek Language - Amber decided she wanted to learn Greek, but wasn't sure there was going to be a curriculum she liked since we've had so much trouble finding a German curriculum that we both like. We were given the chance to review First Form Greek from Memoria Press, which Amber took to immediately and loves the format. It was a surprise hit! Pride and Prejudice - I didn't expect Amber to love Jane Austen as much as she did. Of course, I love Jane Austen's books, but Amber and I tend to have different tastes. However, it was another unexpected favorite from 9th grade. Essay Writing - Oddly enough, Amber really wanted to take the IEW High School Essay Intensive when the review came up. She loved every second of the video course and was happy to write all the essays. Who knew essay writing could be such a well received topic. Lightning Literature - Honestly, Amber has loved everything we have done out of Lightning Literature so far this year. It's just her style of a literature curriculum and she is happy with the selection of novels. She also was rather giddy to begin Shakespeare at the end of 9th grade. We're just wrapping up Julius Caesar and she's tickled pink still.